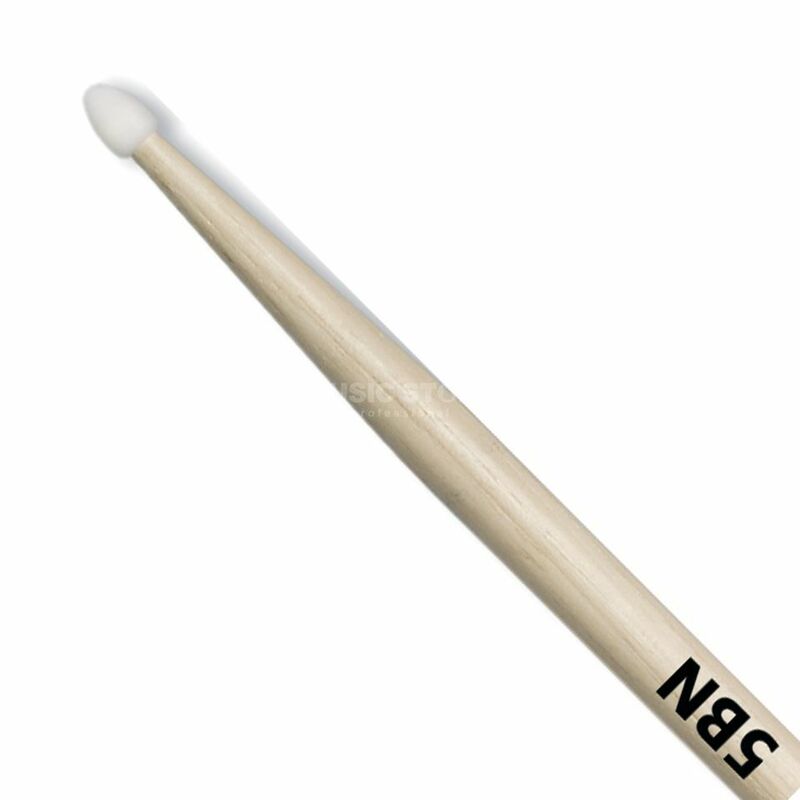 A pair of hickory drum sticks with a 5B size, a tear drop nylon tip and a natural finish. The Vic Firth 5BN American Classic Drum Sticks are a set of sturdy sticks made from selected Hickory. These lacquered sticks feature a medium taper offering plenty of balance for a wealth of playing styles. Even in weight and absolutely straight, these American Classic drum sticks feature a Tear Drop tip with a medium surface area for rich cymbal sounds.